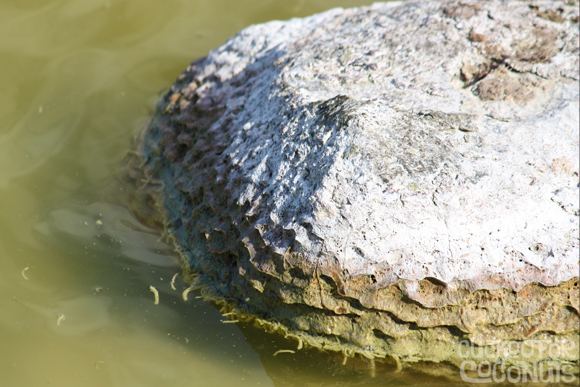 Rock in a pond that has layers and layers of pond scum covering it which gives it the scalloped edge. who are you callin' pond scum? did i mention it kinda stunk?